My home office had not changed much for nearly 6 years and I decided it was time to to make some ergonomic and professional upgrades. I deserve it! At the heart of this upgrade was finally following through with my dream of an adjustable height standing desk. 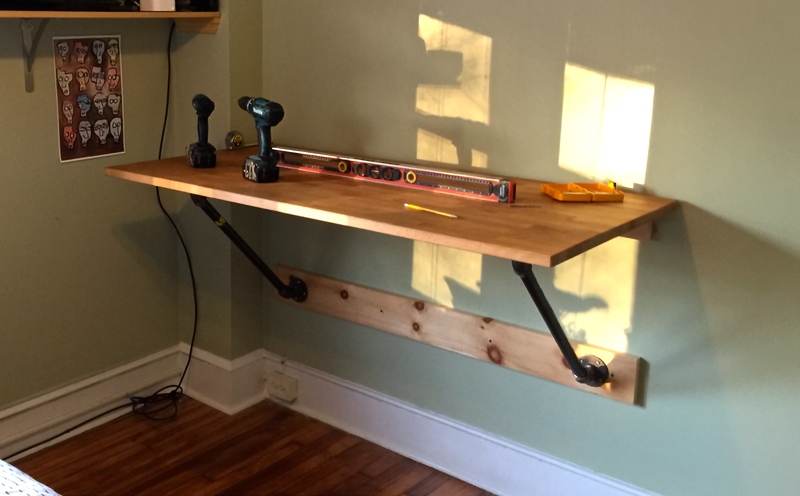 I had let the many words of the Wirecutters standing desk review soak deeply in to my brain and I was convinced I needed to be able to quickly and easily adjust my desk. “I need this!”, I declared. So like anyone under the influence of someone else’s opinions, I was dead set on their recommendation, the NextDesk Terra. I had convinced myself that $1500 is not too much to pay for something as important as this! There are many things to consider when purchasing your main work desk and everyone will have different needs. For me, my one must-have was the complete absence of a wobble. It drives me nuts. So as I started to read the reviews of the NextDesk from other people, it became clear that the desk had the potential to wobble. I was also considering the cheaper alternative of the IKEA Benkant sit-stand desk. To confirm my suspicion of the wobble being intolerable, I went to Ikea to play. “Holy moley! Wobble city!” I declared and put the dream of a cheaper desk to bed. Clearly, the problem would be solved by spending more money.! I explained my time consuming struggle for the perfect desk to a co-worker who listened patiently to my droaning. His response, “Why do you need to sit down?”, left me dumbfounded. Why did I need to sit down? “Just mount your desk to the wall if you don’t want it to wobble.” Of course! My delusional fog of consumer intoxication was broken and I set out eith the simple and affordable plan to attach my existing table top to the wall. If you’d like to see some more photos checkout this flickr album. 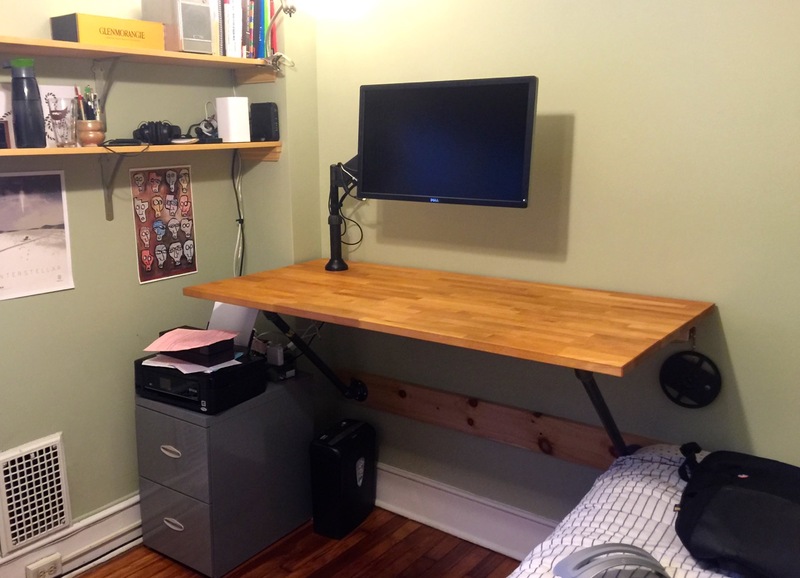 The total cost of materials to convert my existing desk to a wall mounted standing desk was $180. All that was neccesary to purchase was some 1” black iron pipe, drywall screws, a nice piece of pine and a comfy standing mat. My table-top is an IKEA Gerton that I’ve had for years; I was happy to reuse it. I then cut and mounted the pine to studs in the wall, attached the table to the pine boards and pipe supports and made sure everything was level. The result is better than I could have hoped for. It was under my original budget by an order of magnitude and it’s the most sturdy desk I’ve ever used. I’ll report more on how the transition is going over the next couple weeks.